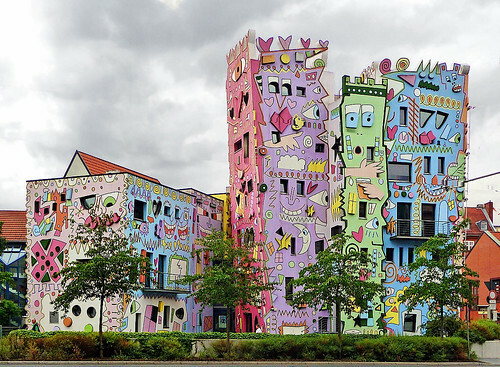 The Happy Rizzi House is an office complex in Brunswick, Germany. 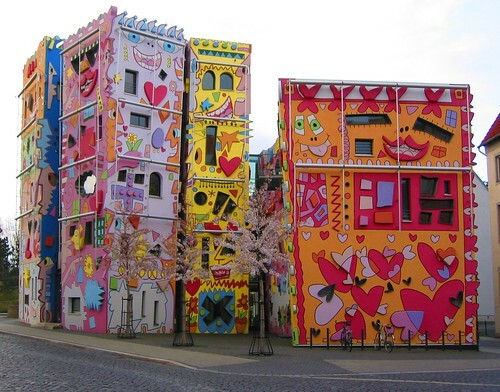 Built in 2001 by architect Konrad Kloster it consists of nine interconnected houses decorated with pop art paintings by American artist James Rizzi. 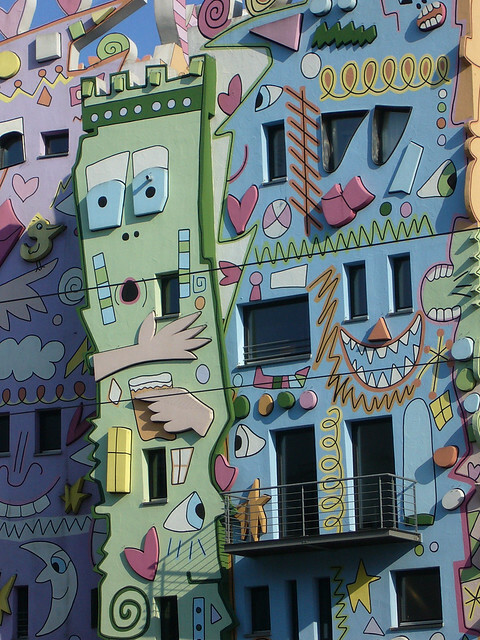 Most common theme on the facade is smiling or happy faces, hence the name Happy House or Happy Rizzi House. The facade also contains several instances of heart, eyes, stars and birds. Reportedly the interior is also similiarly decorated. 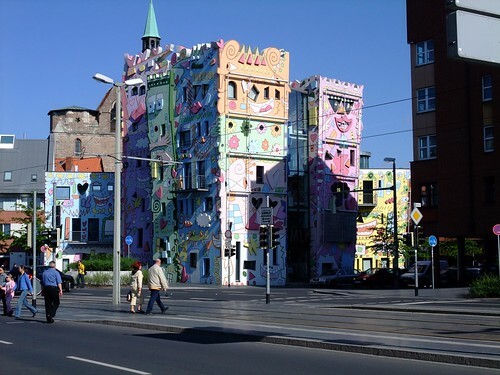 The houses were initially very controversial with the residents however soon these became a big tourist attraction and are now a hit with both children and adults.